Each year a school of Podiatric Medicine hosts the APMSA Basketball/Volleyball Tournament in the spirit of camaraderie, sportsmanship and fun. This year the Iowa Podiatric Medical Students’ Association at the Des Moines University College of Podiatric Medicine & Surgery will be hosting the much anticipated tournament. Student teams from several schools of podiatric medicine will compete in this three day tournament. So, come join in the fun and interact with your future medical colleagues of this great profession. All visiting students should be staying at Renaissance Des Moines Savery Hotel at the negotiated discounted rate. All participating students MUST complete the attached wavier forms. Team captains are responsible for ensuring that team members have done so. No student will be allowed to participate in events until waiver forms are completed. Please find the waiver forms below. Please bring these forms with you on Thursday, April 18. This year’s tournament will be including approximately 110 podiatry students. The basketball tournament is scheduled for Friday 8-4 p.m. and Saturday 8-12 p.m. at an off-campus venue – Champions Sports Center. 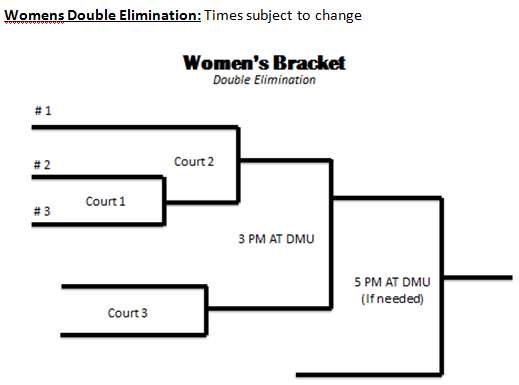 Championship games will be held back at Des Moines University’s Wellness Center on Saturday at 3 p.m.
Each game will consist of 20 minute running halves. The clock will stop during the last 2 minutes of 2nd half on dead balls. Free throws will be shot on shooting fouls with clock running (except last 2 minutes of 2nd half). Halftime will be 5 minutes. Overtime will be 5 minutes with the last 2 minutes clock stops on dead balls. 5 fouls allowed per player per game before being fouled out. Two technical fouls per player per game before being fouled out. Technical fouls will result in 2 free throws and possession. 7 team fouls for single bonus. 10+ team fouls double bonus. One official referee will be present for the round robin on Friday. Two official referees will be present for the tournament on Saturday. Fouls and violations will be subject to the referee’s discretion (confrontation will not be tolerated). The round robin will take place at Champions Sports Center. Each men’s team will play 3 games. Each women’s team will play two games. Round Robin was generated by randomized order via www.printyourbrackets.com. Tournaments will be seeded by overall record with tiebreakers in this order: Head to head followed by highest average point differential. If those are tied, it comes down to a 3 point shootout (pick your best shooter). 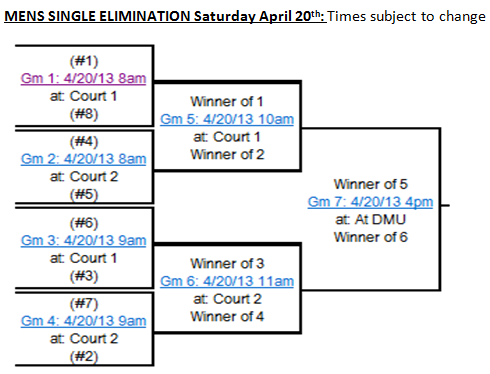 The volleyball tournament is scheduled for Thursday 4-7 p.m. at Des Moines University’s Wellness Center. Planning for several social and educational events for student athletes is currently underway for this year’s tournament. 3 p.m. Check-In. Waiver forms must be turned in at this time. Reception at Wellman’s Pub Outdoor Patio. CPMS Dean, Dr. Robert Yoho, will welcome students. Dr. Robert Dayton will be lecturing on “Evaluation and management of ankle injuries” with a workshop to follow. Lunch will be provided to attendees. Dr. Robert Dayton will be lecturing on “Evaluation and management of ankle injuries” with a workshop to follow. Dr. Dayton earned his Doctor of Podiatric Medicine Degree and Masters in Medical Education at the California College of Podiatric Medicine. He completed his Podiatric Surgical Residency at Kaiser Foundation Hospital, Santa Clara California. He is board-certified by the American Board of Podiatric Surgery in Foot Surgery and Reconstructive Rear foot and Ankle Surgery. Dr Dayton is currently the Director of Trinity Regional Medical Center Podiatric Surgery Residency and is Adjunct Clinical Professor at Des Moines University College of Podiatric Medicine. Dr. Dayton has held past Clinical Faculty Appointments at the California College of Podiatric Medicine and Stanford University School of Medicine. Dr Dayton serves as Section Editor for the Journal of Foot and Ankle Surgery and was the Scientific Chair for the Heartland Podiatry Conference 2006-2011. Dr. Dayton has held numerous clinical appointments including, The Board of Directors for Trimark Physicians Group, Iowa Board of Podiatric Medical Examiners, President and board member Iowa Podiatric Medical Association, Chief of Staff at Trinity Regional Medical Center and Chairman of Peer Review Committee TRMC. Dr. Dayton has co-authored multiple peer reviewed journal articles and book chapters and has presented numerous lectures during his 20 years of practice. Dr. Dayton currently practices with Trimark Physicians Group in Fort Dodge Iowa with an emphasis on Reconstructive Foot and Ankle Surgery, Trauma Repair and Limb Salvage.